I didn’t have time over the long holiday weekend to review this year’s Fall Preview issue of TV Guide magazine. According to the official editorial calendar, the issue went on sale last last Thursday (August 30th). However, I checked a grocery store and the closest Barnes & Noble that day and both had the previous issue on sale. When I went out again the following day, the grocery store still had the previous issue on the racks in the check-out aisles. Fortunately, Barnes & Noble had the Fall Preview issue in its magazine section. For the first time ever, I only bought a single copy. I’ve always purchased two copies of every Fall Preview issue. That way I have a backup in case something happens to the first copy. I’ve finally decided it’s just not worth buying and storing two copies. One is enough. I like the cover to this year’s Fall Preview issue, although it does look an awful lot like last year’s cover. The 92-page double issue devotes 32 pages (including the two-page “Roush Review” section) to new fall programming on the broadcast networks, cable, premium cable, and streaming services. 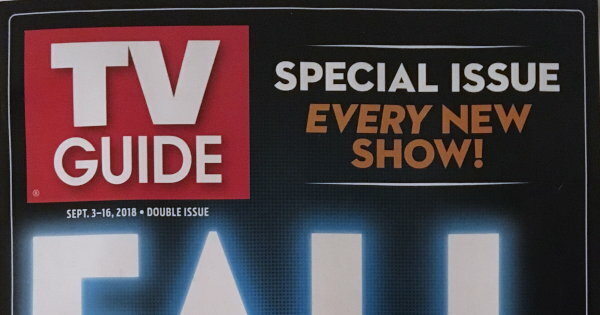 TV Guide claims the Fall Preview section includes 46 new shows, I only counted 39. 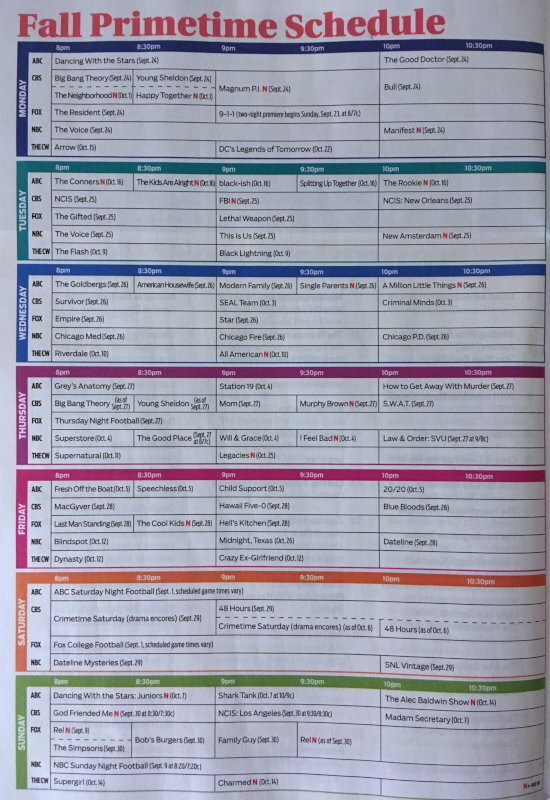 Rather than list new shows by night of the week, TV Guide decided to group all the new shows into categories: Reboots and More!, Fish Out of Water, Workplace Drama, Ensembles, Bad Romance, Blockbuster Leads, Family Fun, and Strange and Unexplained. It’s a ridiculous and confusing way to present new shows, if you ask me. The night-by-night breakdown is logical and simple. A page from the 2018 Fall Preview issue. As has been the case for years, the amount of space devoted to each show varies from a two-page spread to a brief paragraph. Magnum P.I. (CBS) and A Million Little Things (ABC) are both given two-page spreads. 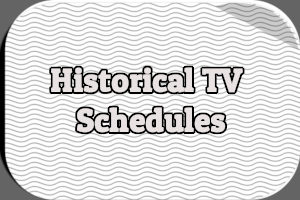 Five shows in the Reboots and More! 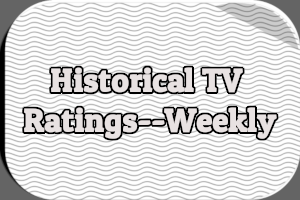 category, including The Miniaturist (PBS) and Charmed (The CW) each get a few sentences. There are some interviews scattered throughout the Fall Preview section. Look for the “Watch My Show” logo. Ten new shows receive the “Editors’ Pick” seal of approval: Murphy Brown (CBS), The Rookie (ABC), A Million Little Things (ABC), All American (The CW), The Little Drummer Girl (AMC), You (Lifetime), The Kominsky Method (Netflix), Escape at Dannemora (Showtime), The Kids Are Alright (ABC), and Manifest (NBC). Is The Fall Preview Issue Still Relevant? TV Guide had a circulation of 1.2 million copies during the first six months of 2018, according to the Alliance for Audited Media. That’s a tiny drop from the first six months of 2017 when it had a circulation of 1.3 million copies. When NTVB Media purchased the magazine from OpenGate Capital in October 2015, it had a circulation of around 1.8 million copies. 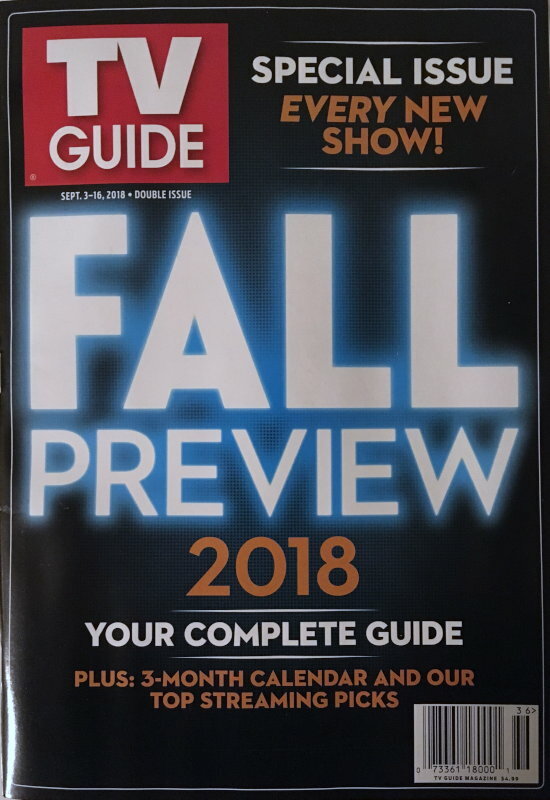 With so many other media outlets writing about and reviewing television, the Fall Preview issue of TV Guide likely isn’t useful to many people. I will admit there were quite a few new shows I hadn’t heard of, so I suppose I learned something while leafing through the Fall Preview section. Until the day comes when TV Guide ceases to exist, I’ll keep buying the Fall Preview issue every year. It’s tradition. Bonus! 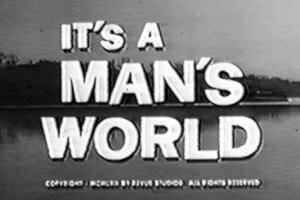 Watch commercials for the 1962 and 1979 Fall Preview issues. 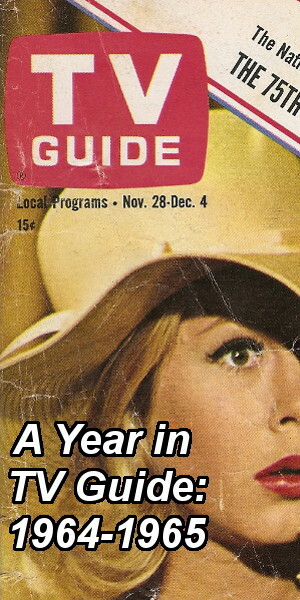 Are you still a TV Guide subscriber? Do you collect Fall Preview issues? Hit the comments with your thoughts. TV Guide’s fall preview seems to become more irrelevant every year. The only reason I even have a subscription is for the streaming section. Magnum P.I. 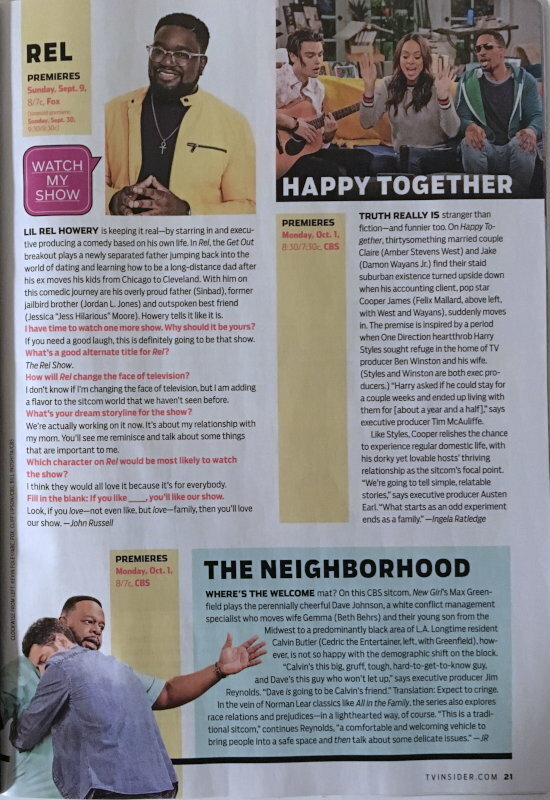 likely got a 2 page spread because CBS owns TVGuide and it’s their biggest new show to promote. And I think if you look at the ratio of shows talked about you’ll find them leaning towards CBS shows. The magazine is likely to last as long as CBS feels it’s a useful promotional tool. I don’t know how many still use TV guide to find out what’s on. Most systems use some sort of digital guide. 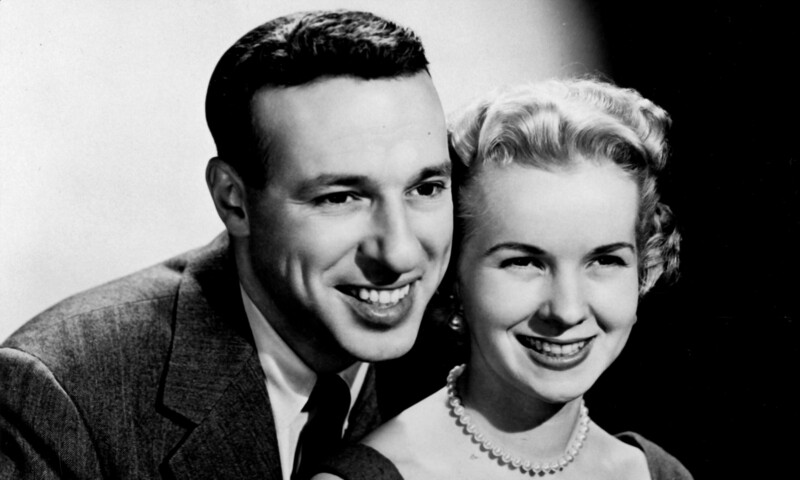 Even off-air has digital listings if you have a device that reads them. 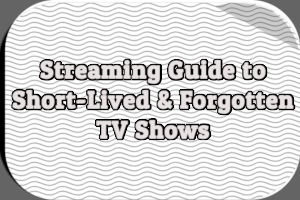 It’s just so much easier to use a digital guide and highlight what you want to record (if you have a PVR) than to try and do things manually. My comment is about changing some of the shows on Sunday,,, I love me tv but the Sunday schedule has changed and it’s terrible.You put the Brady Bunch then Gilligan’s Island for 3hours.There isn’t an adult show until 8pm when finally Columbo comes on,,,thank goodness.The facts of Life ,Gilligan’s Island and the Brady Bunch is NOT good adult tv.Look I grew up watching those shows but now I’m 58 and I can’t stand them.They are for kids.Please please please,, how about Kolchack andKojack onSunday! ?I love Kolchak the vampire Hunter but it’s not on until 1am and I always miss it because I’m sleeping.Please tell me u will at least consider it? Today is Saturday and I’m watching the Beverly Hillbilly’s,I enjoyed watching this when I was a kid and I enjoy it now.Mannix,Cannon are also on late just switch them around put the onesI spoke about on in the wee hours and the good adult shows on at prime viewing hours.Plese think about it,, I’ve spoke with my neighbors and they feel as I do….I live in senior disability housing and we have 102 units in my building and most of them watch ur channel but they also agreed with me about the Sunday schedule.Sincerly Nancy Russell.thank you.